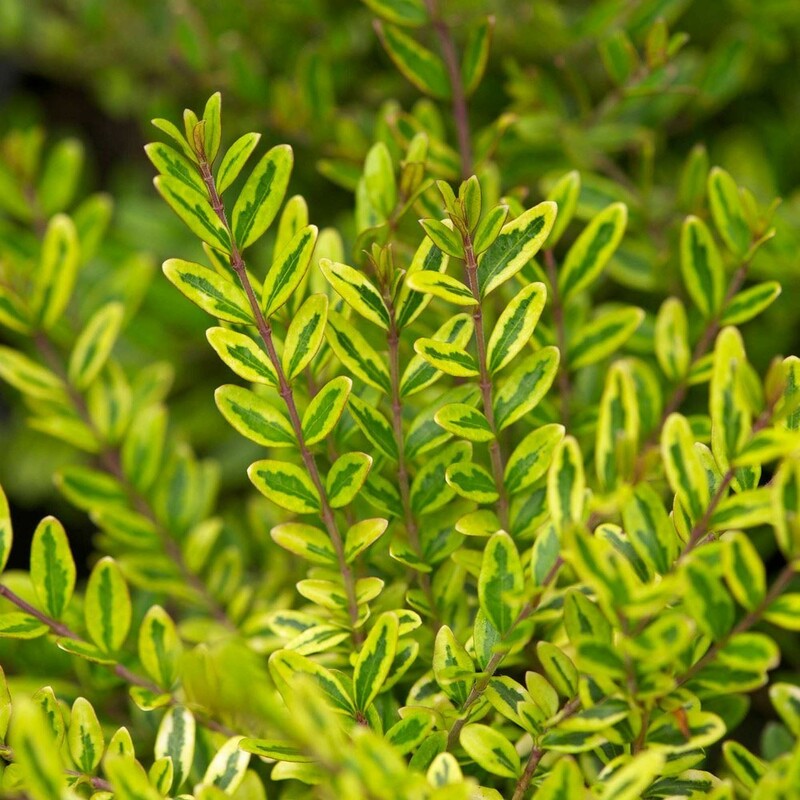 Lonicera nitida 'Lemon Beauty' is a good, spreading groundcover plant, light in effect, with long stretching branches clad in paired leaves. 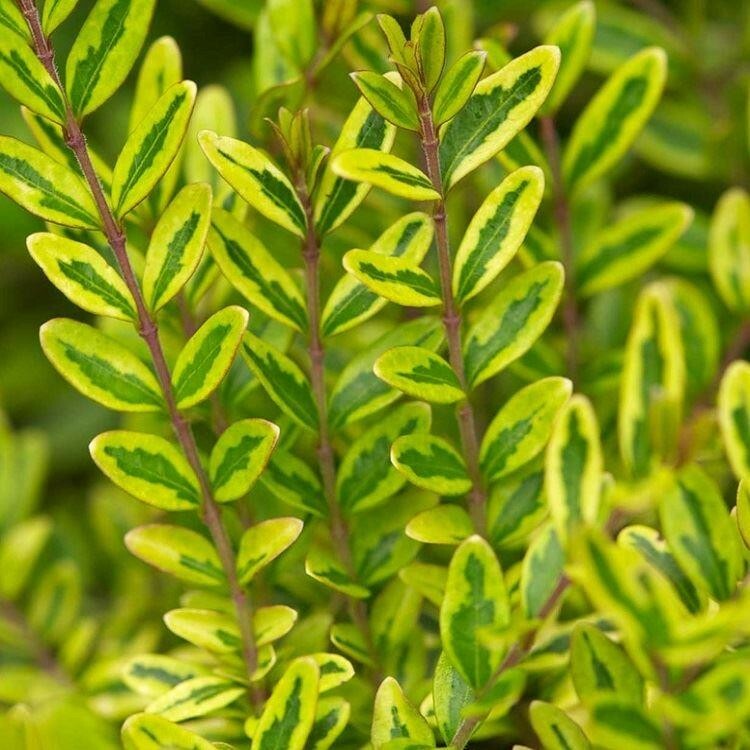 These are small, oblong and have a rich green centre and a broad strong gold rim, a striking foliage effect. Ideal for small hedge as this honeysuckle can be pruned into shape. Supplied in approx 2-3 litre containers.